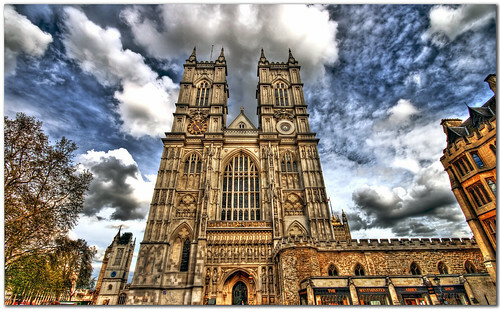 Though it is likely to be a busy time we plan on visiting Westminster Abbey on a Tuesday afternoon. We will need to check the website before going as times vary day by day. Most Tuesdays the last entrance for tour groups is 3:00 and the last personal entrances are at 3:30. You should have until 4:30 when you will need to exit. There are over 600 memorials and thousands of people buried in the church, so there is plenty to see. The best way is to follow the church's laid out path which is the provided map. Group tours start out in the cloister area and head towards the nave. Individuals and families start out at the great North Door. Walk around in a clockwise pattern. 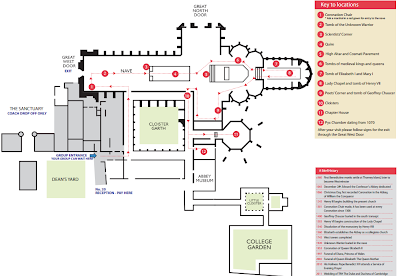 You should also consider picking up the audio-guide that is included in admissions. There is so much to see at this London attraction. While in the abbey we would like see, among other things, the tombs of Robert Baden-Powell and Winston Churchill, the Coronation Chair and the Shrine of St Edward the Confessor. These are all people and things that are important to our family. Take the time beforehand to see who is there and make a list of what you want to see. 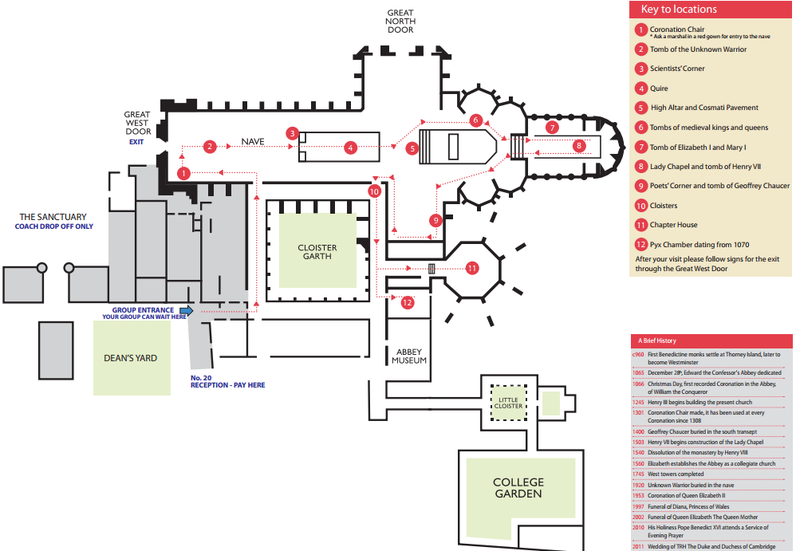 Unfortunately you cannot take pictures in the Abbey, though they do allow photos in the Cloisters and College Garden. 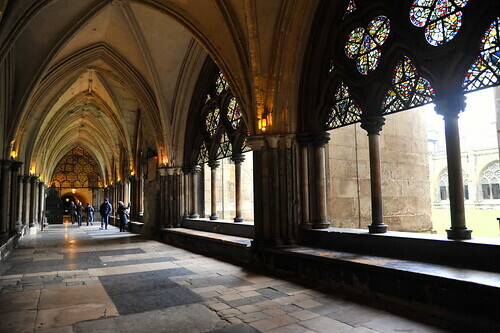 After you you have toured the main abbey go over to what is known as Chapter House. It has different hours than the Abbey. It is usually open 30 minutes longer, so again check the website, but you can likely stay longer by leaving this to the end. From there proceed to the cloisters, which normally stay open the latest. We would like to time everything so that by 4:50 we have exited the abbey and are turning right around to go back in for the Evensong. Evensong is a church service of prayers, psalms and canticles. Wednesday nights are a spoken vesper, but the other nights it should have a choir. 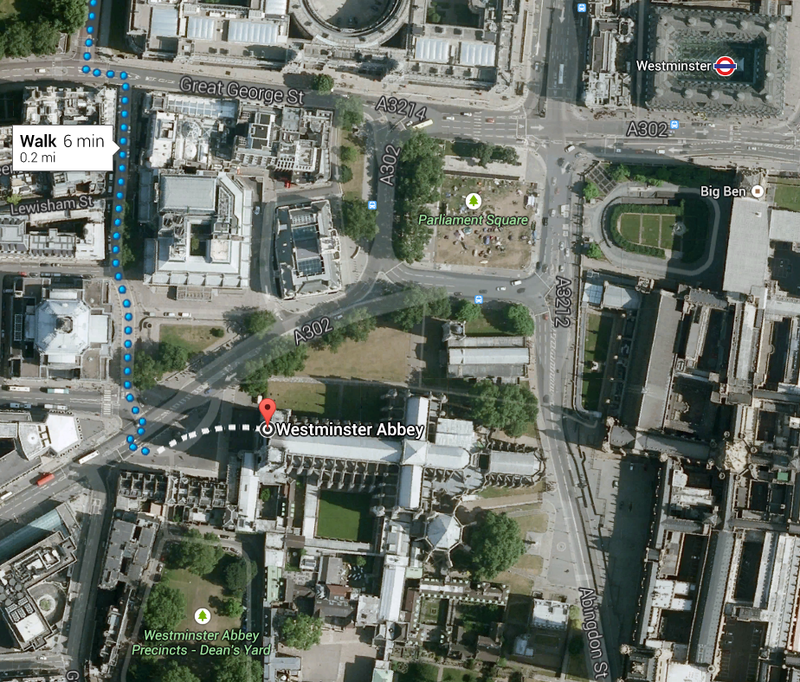 Bathrooms, if you need them, are near Poets' Corner, by the exit heading towards Chapter House. People complain about the extremely high cost of getting into Westminster. At £18.00 it is steep. There is a family pass to consider. This essentially gets you in 1 child for free. If you are going with the London Pass, it is included. This YouTube video of the Queen's 85th birthday will give you an idea on the acoustics of the Abbey.